Summary: This is a walk in history for the first section from Bainbridge to the flanks of Wether Fell is along Cam High Road, a perfectly straight roman road walked by legionnaires around 2,030 years ago. 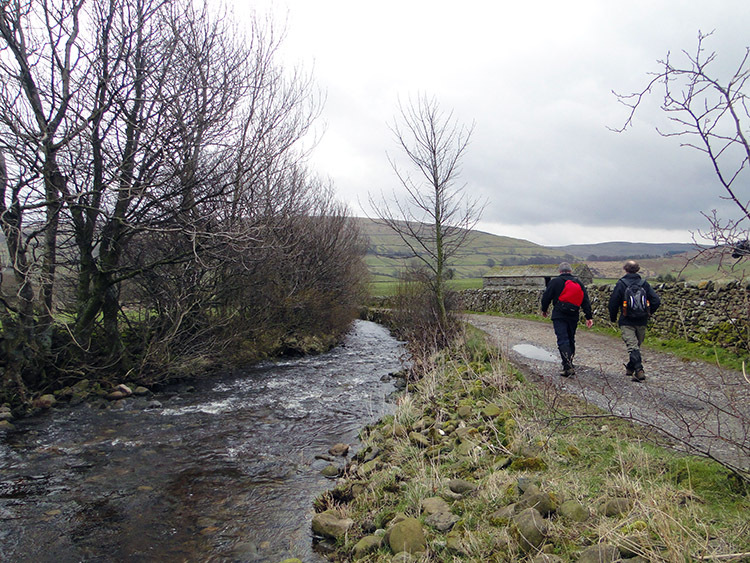 Now it is used by Ramblers taking advantage of it to link Wensleydale and the southern Dales. 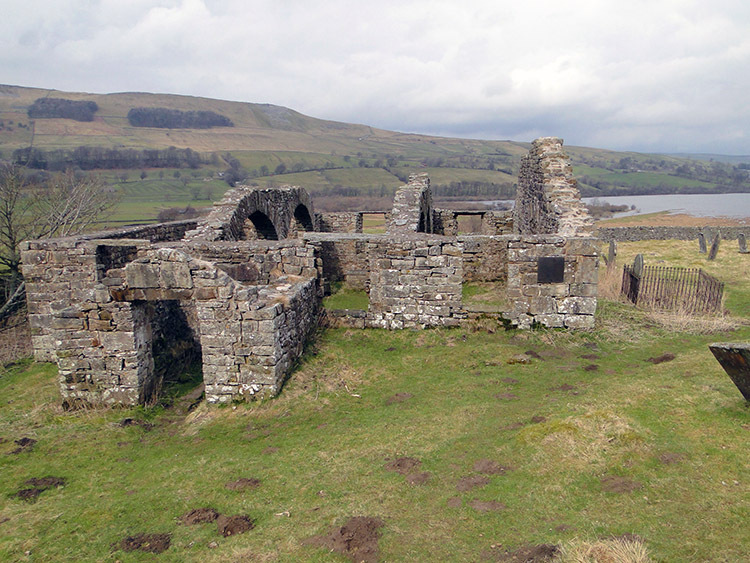 We left Cam High Road near its top to descend into Raydale before visiting Semer Water, the Yorkshire Dales second largest glacial lake before returning to Bainbridge, once home of the Roman fort of Virosidvm. It is difficult to imagine the quiet and sparsely populated areas of the Yorkshire Dales as being anything less than at peace and eternally tranquil but it is not the case. Impressions can be deceiving and even some of the remotest places in the National Park have seen turbulent times. Today on a quiet Saturday in March 2011 Jez, Dave and I were in such an area. Bainbridge in Wensleydale is a lovely Dales village being mainly a scattering of cottages around a large village green. 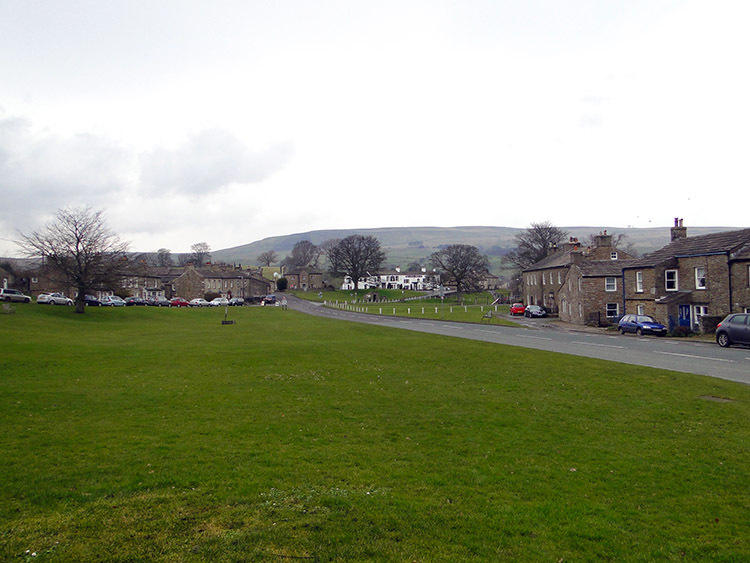 The only disquiet to Bainbridge is caused by the traffic travelling on the A684 which bisects the village, a road linking Leyburn and Hawes, the two most prominent Wensleydale towns. This road is the main thoroughfare in the vicinity now, running east - west. However it was not the case 2,000 years ago as the main course was south to north, forged during the roman occupation of Britain which began after the successful invasion led by Aulus Plautius in 43AD. The road, now called Cam High Road was the first target of our walk on leaving Bainbridge. It is clear to historians that Cam High Road was built as a communication and supplies link during the Roman attempt to widen their territory by occupying Scotland. 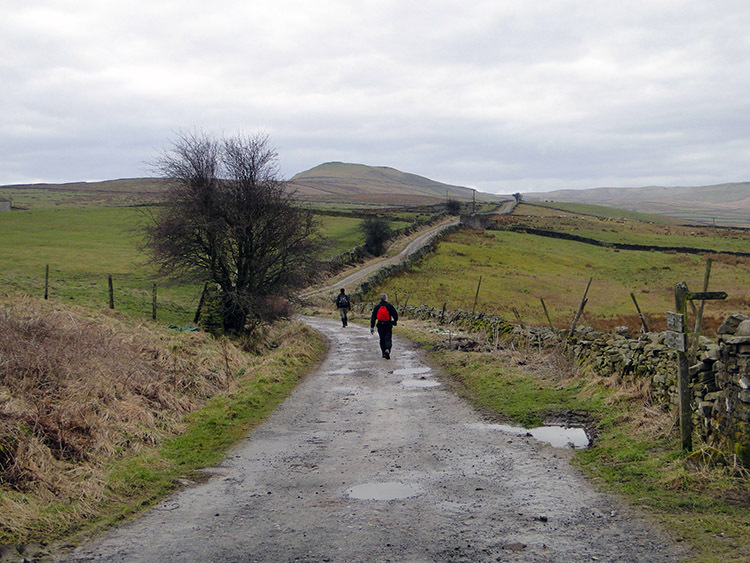 One of the most direct ways to get there was through the Yorkshire Dales and what is now Cam High Road was their chosen route through. For us it was an access to the flanks of Wether Fell from where we would turn south and leave the roman way to descend into Raydale. The walk from Bainbridge along the road was straight and true and always up as we were aiming for a high point before leaving the road. My first intention had been to follow the road without deviating but while on our course along the historic way I often looked at the map to track how far we had walked on the roman way and how far we still had to go. On one such scan of the map I noticed indication to a waterfall called Horton Gill Force which was only about 50 metres off the path. I was impelled to go and look. Jez and Dave reluctantly left Cam High Road and followed. I am so glad I took the detour. The wonderful thing about the Yorkshire Dales is there are so many recognised places of natural beauty but there are many unrecognised places that just have to be sought. Horton Gill Force is such a place. I tracked along Horton Gill to the waterfall from above and first found a small cascade, nothing too exciting but the noise below told me there was more to see. Downstream I went to another larger falls and still there was noise below. Down further I went to another significant falls of about 6 metres and in series the waterfalls made a wonderful setting. Jez and Dave came too and then Dave made a discovery of an old iron implement that he and Jez guessed may have been used to shape stone. We were not sure but there was a kiln close to the waters edge and it may indeed have been used to shape the stone for that. Whatever it was, a fun discovery had been made and Dave saved the heirloom to keep in his retinue of finds from his outdoor explorations at home. Once the iron implement was secured in his bag we moved on from beautiful Horton Gill and regained Cam High Road, continuing to ascend until we reached our point of exit which took us over a small ridge and into vast open spaces with Raydale unveiled in all its glory ahead of us. 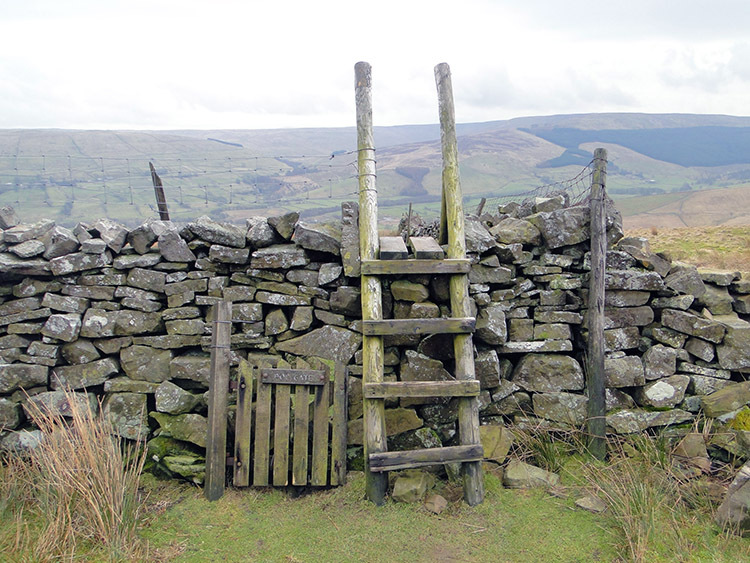 A typical Dales Stile. Can you see the Dog Gate? 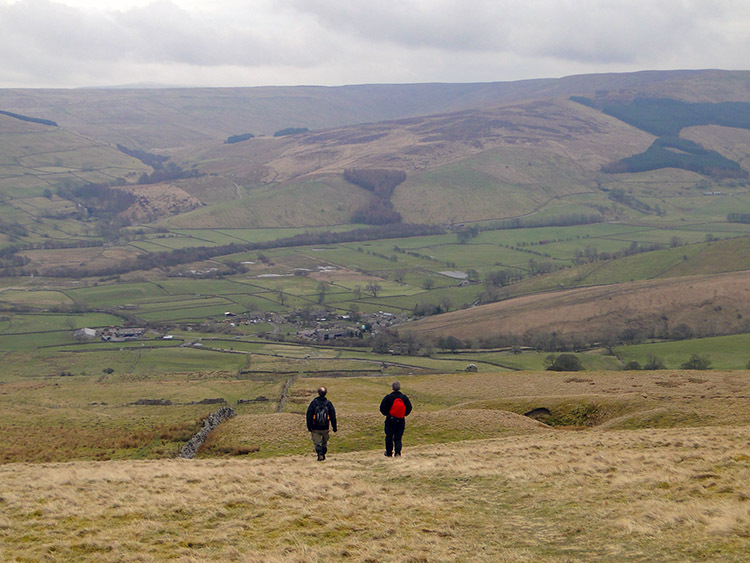 The descent into Raydale was a relief after the steady constant climb we had made from Bainbridge along Cam High Road. Apart from the short detour to Horton Gill Force we had climbed uphill without a break. Yet, while the downhill journey was a pleasant rest for our lungs we had to keep our brains in gear. 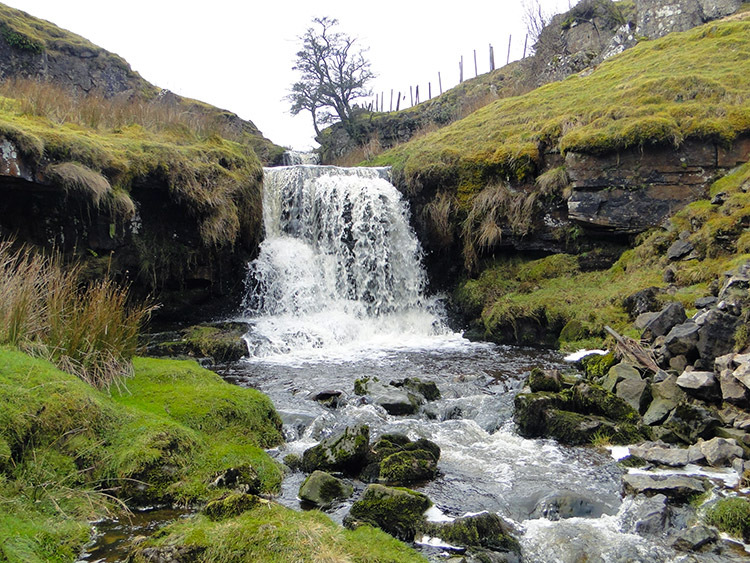 The descent into Raydale was steep and the grass was wet underfoot. I slipped on the wet grass a couple of times and only just managed to stay on my feet. Later on, after a further slip Jez was to mention a phrase I will remember from now on for such occurrences but let us wait until it happens shall we. Back to the walk and we made it to down to Raydale unscathed and ambled through the scattered farmstead village of Marsett. From the village we followed Marsett Beck for a short distance before tracking south to cross a footbridge over Raydale Beck and then tracking to another footbridge to cross over Cragdale Beck. Eventually the three becks become one as Crooks Beck which is the main feed into Semer Water. We kept to a path bisecting the course of the becks and the village of Stalling Busk. This led us towards the remains of the old Stalling Busk Chapel but before we got there we broke for lunch near an old barn. 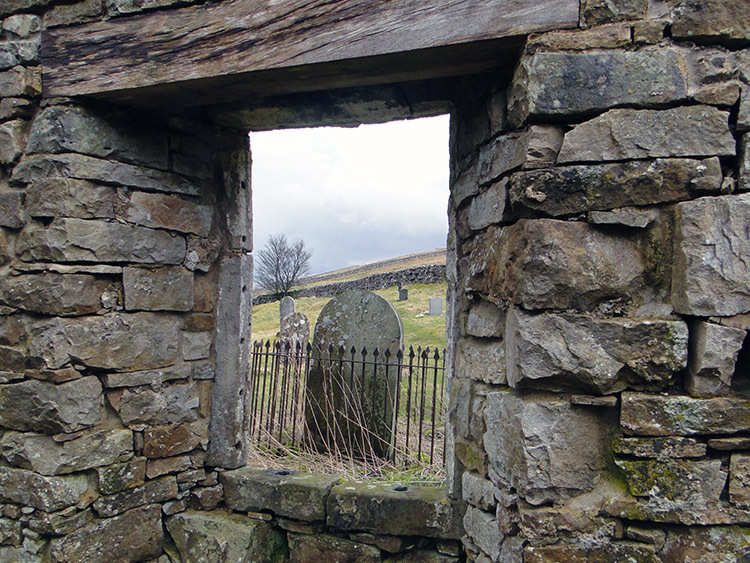 After lunch we continued on a north east course and soon came to the remains of the old chapel which was actually the site of the original church of Stalling Busk complete with graveyard which is 350 metres away from the village. It's dereliction makes the site poignant and a thought provoking place. 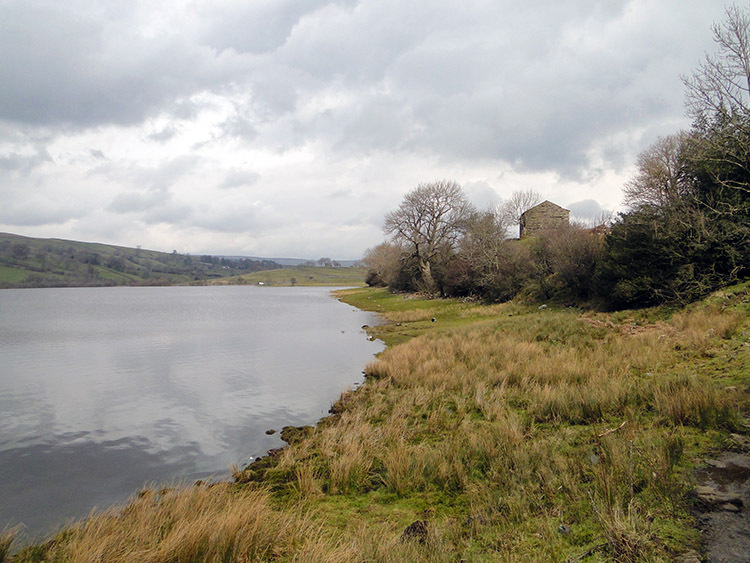 With direct views of Semer Water and the low hills of Lower Raydale it is a superb setting. Why did it fall into such decline? It is clearly in a much more scenic setting than St Mathew's Church which now serves the community. It too is a lovely place but if my final place of rest was one of the two I know which I would choose. At the old chapel we met a couple who were also enjoying the setting of the abandoned building and after some exploration of the structure and grounds we made our way towards Semer Water. 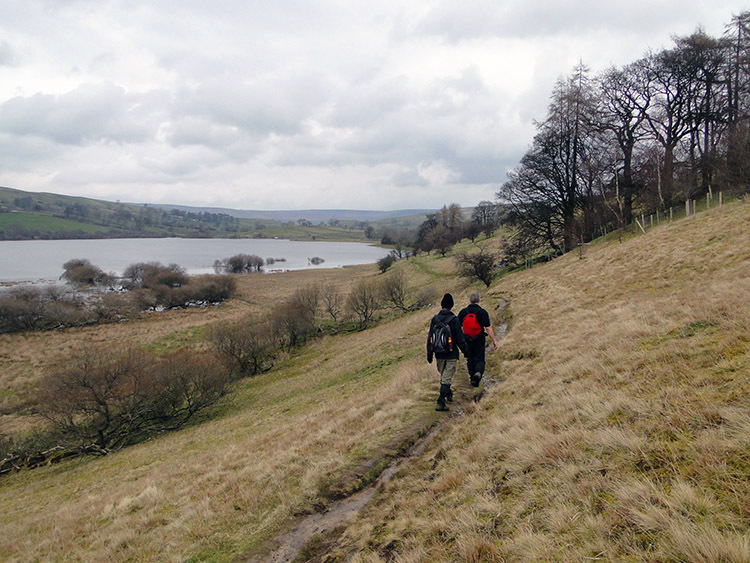 We were now closing in on Semer Water which after Malham Tarn is the 2nd largest glacial freshwater lake in the Yorkshire Dales. Apparently according to legend a city lies beneath the water, cursed because a traveller was turned away by inhospitable folk. It is assumed the traveller was in fact an Angel in disguise testing the city dwellers and on being turned away he cursed the city and flooded it into what is now the lake. Unfortunate for the people but a blessing for the water birds which now frequent Semer Water all year round. It is a popular haven for Redshank, Lapwing, Curlew, Snipe, Willow Warbler, Ducks and Geese. It is also designated as a Site of Special Scientific Interest because of its range of habitats which include areas of both acid and alkaline soils providing a diverse range of plants including water loving Bogbean, Ragged Robin, Marsh Marigold, March Cinquefoil, Marsh Orchid, Bottle Sedge and Bladder Sedge. Higher on acid fell side there are Pignut, Heather and Tormentil to be found. Finally in the water itself Crayfish, Fresh Water Mussels and Mayfly abound. Now that is a habitat! As we were passing Semer Water on a dull day in late winter nothing so exciting was throwing itself in the direction of our eyes but the surroundings themselves were beauty enough. We continued on in leisure and in pleasure. 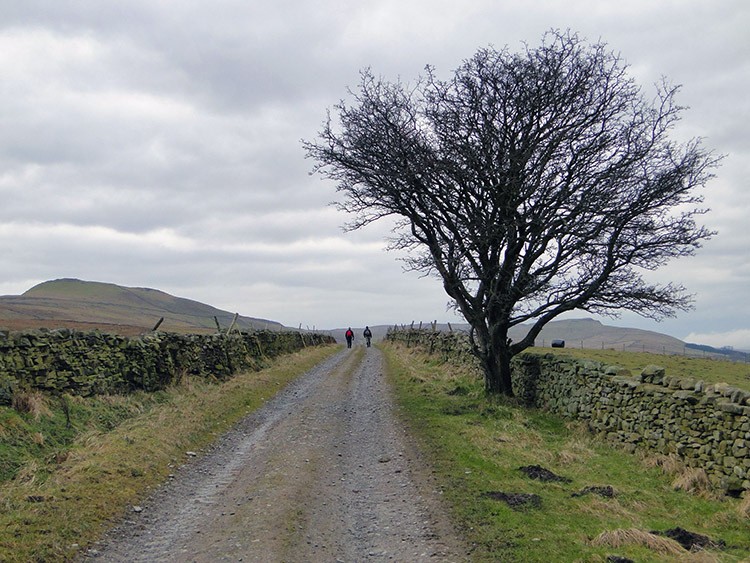 After passing Semer Water by we crossed low farmland via Low Blean Farm and Low Force Farm before following Blean Lane, the dead end road that links Bainbridge and Stalling Busk. After a short while walking along the road we cut off along a path to the summit of Bracken Hill which provided us with our first unrestricted view of Bainbridge since we had set off on the walk almost four hours earlier. After cresting the hill I slipped on the descent and almost fell on my backside. I did not but Jez exclaimed "Gee, that was nearly a Dale's Bidet" How apt, I'll not forget that for I was certain to get a wet washed backside had I hit the turf. After my near calamity we reached the road again and made our way towards to village. I had planned, as a final stop to visit the Roman Fort of Virosidvm (alt: Virosidum) but on looking and seeing nothing but a mound of earth my colleagues persuaded me that I was getting my best view from where I was right now. 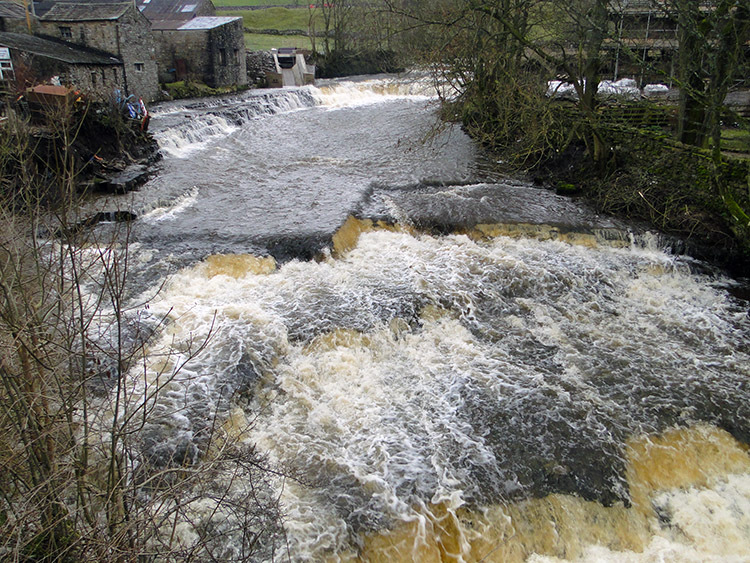 I couldn't disagree and instead I diverted my view to the tremendous energy of the River Bain as it powered its way to Bainbridge before continuing a short distance to cease at its meeting with the River Ure. The River Bain at 2.5 miles long is the shortest main river in England but my word, it is mighty as it roars its way from Semer Water to the River Ure. No wonder the romans kept their road to the other side of the valley so they did not have to cross it. we had the fortune of crossing via a sturdy bridge before completing our walk by passing the prominent village green in Bainbridge. Cars were parked all around. No wonder, it is a picturesque place to visit and a great place to start a walk. Just as the romans did all those years ago from their fort and just as we did today.